Contrary to speculations and rumours making the rounds, all is well with Dhoom: 3's release plans. The year's most awaited biggie, the film is staying on course with its Christmas release plans. 's release plans. The year's most awaited biggie, the film is staying on course with its Christmas release plans. "There was never a shift to begin with either," says a source. "It was rather unnecessary and unwarranted to see some out there coming up with their own versions of release plans for the film. The film was always announced as a Christmas release and the makers had stood their stand. However, out of the blue, there was this whole brouhaha around the exact date in jeopardy. First it was said that Aamir was delaying the film and later it was being whispered that Katrina had to work despite illness, since she didn't want the film to be delayed any further. None of that has any iota of truth though." release to their name this year. It was enough to result in widespread disappointment amongst millions who have been waiting patiently for the film's third installment to finally hit the screens. 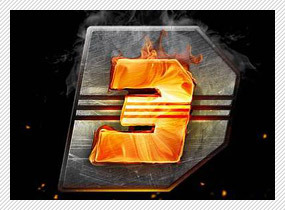 "Dhoom: 3 is not being postponed," confirms Rafiq Gangjee, Vice President - Marketing & Communications, YRF. "There has been a lot of conjecture around the arrival of this most awaited film. However, to set the record straight, we are indeed bringing the film this Christmas." Now that should set the records straight once for and all.